The letter came in response to the congressman’s constituents in Ohio’s 12 Congressional District, replying to a survey sent by his office asking them what Congress should do to combat Jew-hatred. U.S. Department of Justice headquarters. Credit: Wikimedia Commons. (April 1, 2019 / JNS) U.S. Rep. Troy Balderson (R-Ohio) sent a letter to the U.S. Department of Justice on Monday, asking the agency to monitor any increase in anti-Semitic hate crimes. Sixteen members of Congress have signed onto the letter: Reps. Mike Turner (R-Ohio), Steve Stivers (R-Ohio), Jim Jordan (R-Ohio), Steve Chabot (R-Ohio), Warren Davidson (R-Ohio), Anthony Gonzalez (R-Ohio), David Joyce (R-Ohio), Bob Gibbs (R-Ohio), Bill Johnson (R-Ohio), Bob Latta (R-Ohio), Brad Wenstrup (R-Ohio), Kevin Hern (R-Okla.), Peter King (R-N.Y.), Tom Cole (R-Okla.), John Katko (R-N.Y.) and Randy Weber (R-Texas). The letter was in response to the congressman’s constituents in Ohio’s 12 Congressional District replying to a survey sent by his office a few weeks ago, asking them what Congress should do to combat Jew-hatred. 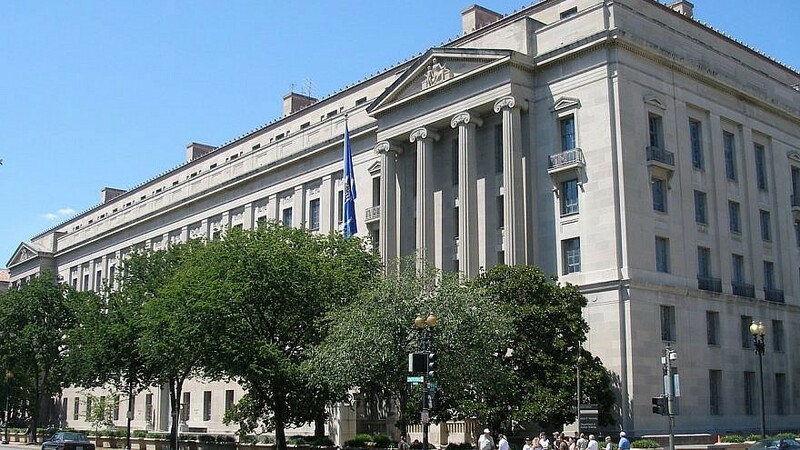 A letter to the DOJ garnered 37.9 percent of respondents, followed by a resolution condemning anti-Semitic remarks at 24.8 percent and Congress not getting involved because “it is unnecessary” at 16.8 percent. Meanwhile, 9.6 percent of respondents replied that a hearing should be held regarding how anti-Semitism adversely affects progress in the United States.